The international launch of LG G Flex smartphone will take place in Hong Kong next December 3th. LG has been sending invites for the presentation, where the company will announce the international availability of its curved device. The timing is perfect, as it will probably reach the market before the holiday season. In a previous report this November, LG had announced that the G Flex will travel to Europe next month, specifically Orange in France. It’s not expected in USA until next year, where it will be available on AT&T, Sprint, and T-Mobile. So, if you live in Europe, you can get a nice curved gift this Christmas! 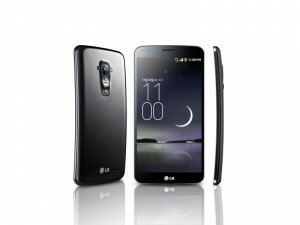 The G Flex is the first smartphone from LG with a curved display and a self healing back panel. The back cover has a protective film that we all have seen how it can get rid of scratches within minutes. It also has high-end specifications, including a 6-inch display with 720p, an impressive quad-core Snapdragon 800 processor, 2 GB of RAM and a 13 MP rear camera. The device is rather pricey, as it costs the equivalent of $940 in the States, and €695 in Europe. LG is not the first company to have a curved phone. One month before the G Flex was launched, Samsung presented the Galaxy Round, with the screen curved along the short axis. One of the interesting features is the battery, which has been redesigned to fit in the curved framework. It’s still arguable if the “curved” devices have any real utility. However, from a technological point of view, they are really challenging. Some weeks ago, we asked about the reasons to buy curved phone. It seems that if you decided to buy one of those devices, you have trusted your heart, not your head! You can find more information at UnWiredView.